Torbjorn was elected as Senior Partner by the Actis Partners in June 2015. 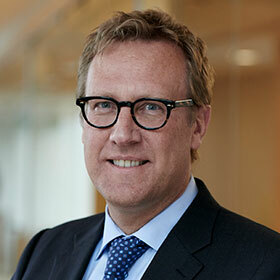 As Senior Partner Torbjorn appoints and chairs the Executive Committee and takes responsibility for the firm, its funds and the overall performance. Prior to becoming Senior Partner, Torbjorn served as co-head of Actis’ energy business executing the strategy across Actis Energy Fund 2 and Actis Energy Fund 3. As senior partner Torbjorn was also closely involved in raising the US$2.75 billion Actis Energy Fund 4 that he chairs. Torbjorn joined Actis’ predecessor organization, CDC, as a founding partner and later the CEO of Globeleq, the sole platform company of Actis Energy Fund 1. Before joining CDC/Actis in 2002, Torbjorn was an entrepreneur and CEO, having previously held positions at ABB for over twelve years in power plant services, sales, development, finance and equity investments. Torbjorn holds an MSc degree in mechanical engineering from Chalmers University of Technology in Sweden, and an MBA from IMD in Switzerland.